Two Tone Wedding Ring : LOVE2HAVE in the UK! 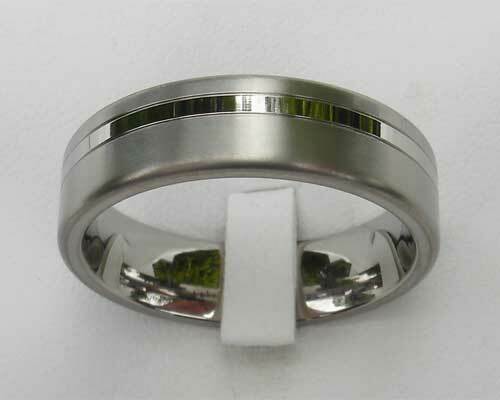 A flat profile titanium wedding ring with two off centre grooves and a choice of all polished, twin (polished stripe and satin main - pictured) or all satin. Please state your pick in the comments box at check out. Various widths are also available too. 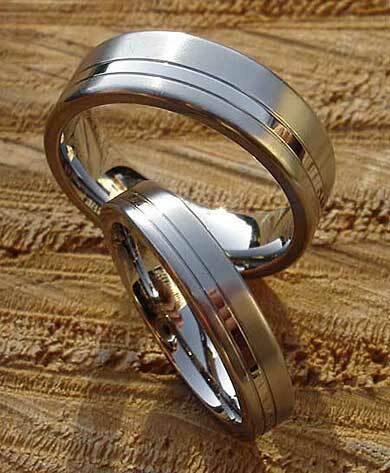 This ring is one of our most popular titanium wedding rings and a good all-rounder for both price and looks for both men and women. Width(s) Available: 5mm - 10mm.